Preventing Alzheimer's: Can Concussions Cause Dementia? Does that Bump on the Head Make a Difference Later in Life? "A concussion is a type of traumatic brain injury, or TBI, caused by a bump, blow, or jolt to the head that can change the way your brain normally works. Concussions can also occur from a fall or a blow to the body that causes the head and brain to move quickly back and forth"(Centers for Disease Control and Prevention). Symptoms of a concussion include headache, memory loss, loss of consciousness, confusion, impaired vision, dizziness, nausea, delayed speech and tiredness. What&apos;s the Difference between a Concussion and Traumatic Brain Injury? Essentially, a concussion where a loss of consciousness is experienced, even for seconds or minutes, is considered a mild traumatic brain injury. Is There a Connection between Concussions and the Risk of Dementia? Severe traumatic brain injuries (where the person experiences an extended loss of consciousness or inability to remember) have been correlated with a greater risk of the development of dementia, but what about mild traumatic brain injuries such as concussions? One study outlined in PLOS One found that there was indeed a higher risk for dementia after mild traumatic brain injuries. Researchers reviewed the records of more than 90,000 people and found that even after adjusting for other risk factors, those who experienced a mild brain injury were more likely to develop dementia. What Does Research Say about Sports and Concussions? Other studies have concluded that boxers and hockey players also have increased rates of dementia related to CTE. Another well-publicized research study found that the majority of deceased football players in that study displayed evidence of CTE, as well as high rates of dementia and cognitive impairment. However, not all studies agree on the risks of concussions. One study outlined in Neurology tracked the number of hits received by football players by placing a device inside the helmet of players for a season. Researchers then measured cognitive performance at the end of the season. The good news in this study was that short-term brain functioning did not decline related to small impacts. There has been a fair amount of media coverage on proper concussion identification and care. Interestingly, another study involving 92 former professional football players found that approximately 11 percent presented signs of mild cognitive impairment or dementia; however, the researchers did not find any increased chance of dementia for those who played high-risk positions when compared to those who played in low-risk positions. Furthermore, they did not find a correlation between a higher likelihood of dementia and a longer career in professional football. Finally, some critics point out that studying only deceased football players doesn't provide an accurate representation of the risk of football to brain health since the researchers are only looking at players who perhaps had the most brain damage and thus died. People who have suffered multiple concussions do appear to be at a greater risk for developing dementia, according to U.S. Alzheimer’s. They note that falls, car accidents and sports injuries are common causes of brain injury. Do Concussions Increase the Risk of Mild Cognitive Impairment? Neurology recently published a study on head trauma and compared the amount of amyloid protein deposits in the brains of people with mild cognitive impairment and in individuals who were evaluated to be cognitively intact. The buildup of amyloid protein deposits in the brain is one of the hallmarks of Alzheimer's disease. The researchers found that among cognitively intact people, there was no difference in the levels of amyloid protein deposits in the brain, regardless of if the participant reported a history or head trauma or not. However, among participants with mild cognitive impairment, those with previous head trauma displayed a higher level of amyloid protein deposits in the brain than those without a history of head trauma. In this study, "head trauma" was defined as losing consciousness or memory even momentarily after a head injury. The authors concluded that trauma such as concussions does appear to increase the risk of mild cognitive impairment, which often but not always progresses to Alzheimer's disease. While research results do vary, several studies have found a correlation between concussions and cognitive functioning. 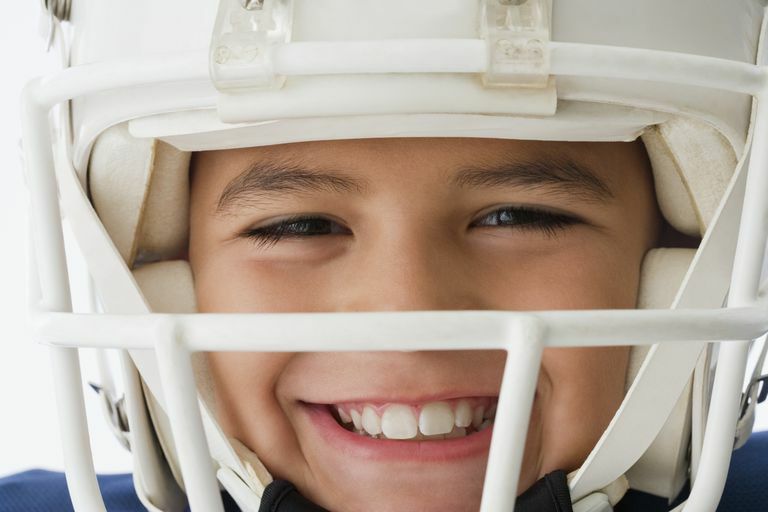 Medical providers emphasize the importance of protecting the head from injury with helmets and other protective gear and responding to concussions with physical and mental rest, as well as utilizing much caution with a return to normal and athletic activity. Does a Poor Sense of Smell Predict Alzheimer's Disease? Does Social Interaction Prevent Dementia? How Are Parkinson's Dementia and Dementia with Lewy Bodies Different? Does Being Bilingual Protect Your Brain from Dementia?